I am done school so I FINALLY feel like I can write a blog post again! I recently got back from a 1 week trip to Arizona and I loved it. It is the first time I had been to the southern area of Arizona. I flew into Phoenix and I stayed the week in Tucson. 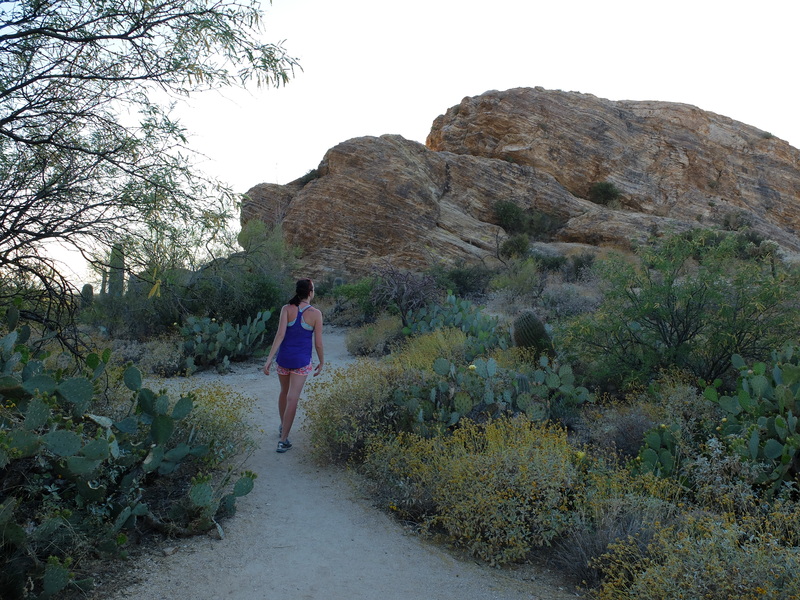 So here is a quick post on 3 reasons why YOU should go to Tucson. This city is surrounded by natural desert and mountain beauty. It is sandwiched between Saguaro National Park and Sabino Canyon as well as the Catalina Mountains and Oro Valley to the north of the city. You can drive a couple of hours to get to other beautiful areas like Chiricahua National Park. There is no shortage of hikes to do in these beautiful parks, I could have easily spent another week in the area. Being from Alberta I am not used to the heat that Arizona brought with it. This being said, it was amazing for hiking since there was never a bad day. I would say that April and October are the best months to go to Arizona, this is when it is not SO hot but it is certainly hot enough. Also, April is a great month to see the cacti and spring trees and flowers in bloom – so colourful. The food in Tucson blew me away. Not even just the restaurants, but even from the grocery stores. We bought most of our meals at Whole Foods or Sprouts on our way home from hiking. They both had an amazing selection of organic, fresh and local foods. As well they had an expansive deli selection so it was easy to just grab something from the deli on the way back from a hike. If you love Mexican food, check it out in Tucson. Tucson is home to the most authentic Mexican food north of the border. The highest concentration of these restaurants is found within a 23-mile area. So many great options to check out! There are a million reasons why you should explore this area, and why I want to go back. These were just the top 3 highlights for me. I hope it inspires you to plan a trip of your own! Next Post What’s In My Pack? I did southern Arizona and I loved it. So different from Florida. Loved it!